Large Scale Applications Tutorials by Smooth-On, Inc. This video shows the creation of a fabricated tree for a themed environment for an interactive customer experience. GFRC Cladding Systems creates angular panels to be installed on a building in Miami's design district. GFRC Cladding Systems shows how to create a spray-up cladding cornice. In this video we show the step-by-step process for creating a sales desk kiosk with a custom textured surface using GFRC enhanced with Forton® VF-774. Using Rebound™ 25 mold rubber, OBRaTUR, S.A. has created a line of GFRC furniture that is hurricane proof. Creating a GFRC table design employs the root of a Royal Poinciana tree recovered from a hurricane. Granary wall inside the barn features woodgrain textures that can be duplicated onto GFRC panels for a shower install. Multiple GFRC panels of different sizes and shapes will be made from this single texture mat mold. 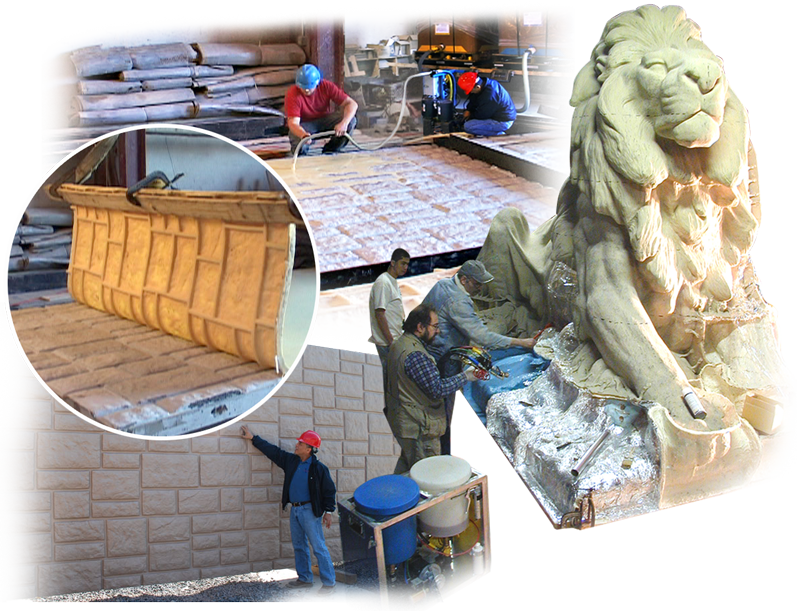 Learn about the mold making process for casting a da Vinci horse design. The Pennsylvania DOT needed 2,000 decorative noise reduction panels to maximize public safety and divert highway noise.